Green Girly: Good News Chocoholics! 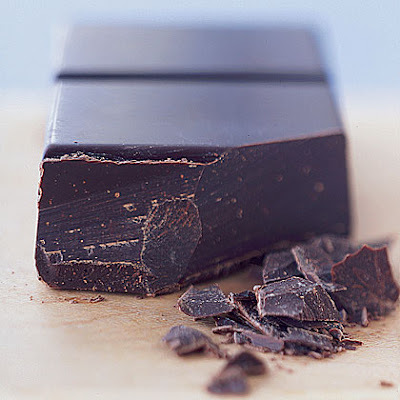 The British Medical Journal reported in 1998 that dark chocolate consumption is linked to longer life. It has been shown to reduce blood pressure and bad cholesterol. It opens blood vessels and allows blood to circulate more freely, which is good for heart health. Cocoa beans are high in antioxidants. Chocolate has more antioxidants than fruits, vegetables, tea, and wine. One study showed that people that ate 3 ounces of dark chocolate everyday for 3 weeks had lower blood sugar and increased insulin sensitivity. Provided you do not have a weight problem, eating 1 to 3 ounces per day is good for you!